Farne Islands, Golden Gate, Farnes, Longstone, Lighthouse, Northumberland, Seahouses, Grace Darling. The most famous saint to take up residence on Inner Fare was Saint Cuthbert, legend has it, after praying he was blessed with a fresh water well on the island and a bountiful crop of winter barley which he desperately needed after the birds ate all his other crops. After the death of Cuthbert monastic life continued on Inner Farne with the monks maintaining fire beacons on the islands before the building of the lighthouses. Inner Farne remains an important place of pilgrimage for many Christians. There is a small church on Inner Farne dedicated to Saint Cuthbert and a peel tower now stands on the site St Cuthbert had a cell dug out on Inner Farne. On 7th September 1838 the survivors of the Forfarshire were rescued by Grace Darling and her father, William. The ship had been bound from Hull to Dundee when off St Abbs Head, north of the islands, the pumps failed and the ship lost steam. In a gale of wind the captain made sail and attempted to put the ship behind Inner Farne to protect her from the rough seas. Unfortunately the ship?? ?s master made a catastrophic navigation error, mistaking Longstone Light for Inner Farne he sailed the ship onto the Harcar group of islands. The ship broke in half and survivors scrambled off onto the rocky islands taking shelter under the small cliffs. Waiting for the tide to ebb to provide a degree of shelter from the swells, Grace and her father launched a Northumbrian Coble from Sunderland Hole, one of the landings still used today by the lighthousemen. They rescued the survivors at about 7am. Grace Darling is one of the earliest victims of mass media attention the stress of celebrity took its toll and in 1842 Grace died at the age of 26 from TB. 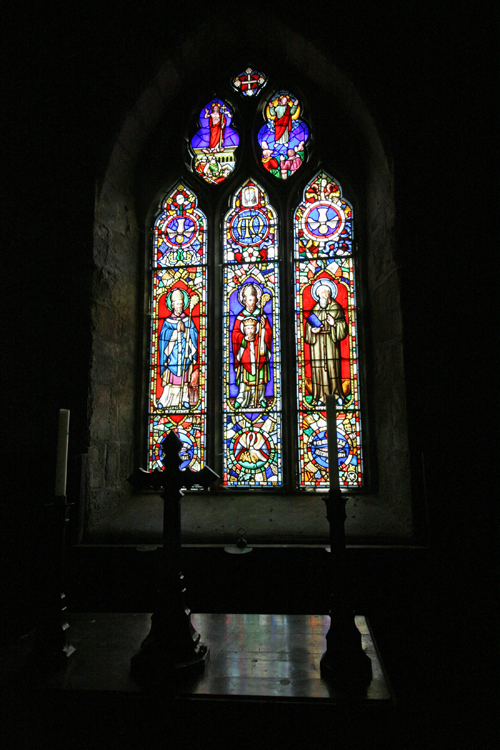 She is buried in St Aidan's Chapel in Bamburgh.